EDEN, Utah (Dec. 20, 2018) – Whisper Ridge, a premier helicopter and cat-skiing provider operating out of Eden, Utah has announced the acquisition of over 11,000 premium skiable acres to its existing terrain for the 2018-19 season. The newly combined 70,000+ contiguous acres makes Whisper Ridgethe largest private backcountry ski resort in the world. In addition to this latest expansion, Whisper Ridge is also announcing an exclusive partnership with Powder Mountain Resort to provide heli and cat-skiing services for their patrons. Whisper Ridge will build an additional base of operations at Powder Mountain to facilitate access to their private land, which borders the public resort. Whisper Ridge owns one the largest fleets of snow cats in North America, and accommodates over 120 backcountry skiers in their 10 customized PistenBully snow cats each day. Whisper Ridge is a premier Heli and Cat-Skiing provider operating out of Eden, Utah. 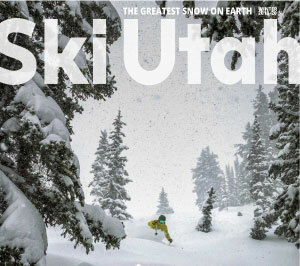 The company boasts over 70,000 acres of private, skiable terrain nestled in the Wasatch Mountains in Northern Utah. The largest private backcountry ski resort in the world, Whisper Ridge has a fleet of 10 custom PistenBully snowcats, two dedicated B3 and one 205++ helicopters, 50 performance Polaris snowmobiles, and 10 luxury mountain yurts. Located 60 minutes north of Salt Lake International airport. Whisper Ridge provides world-class powder skiing and snowboarding experiences for passionate adventurers from all over the world.